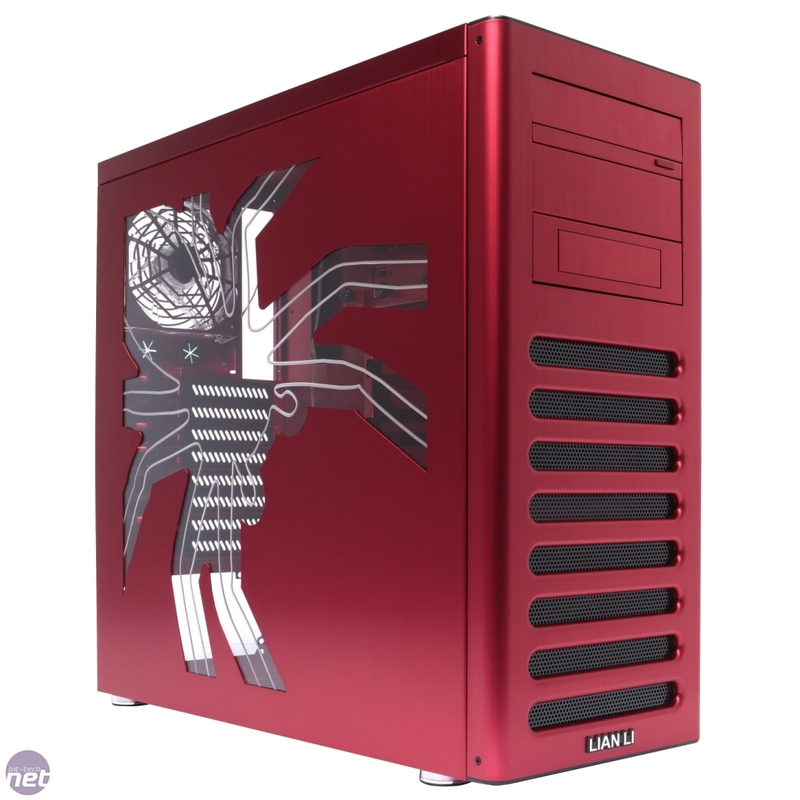 If there's a manufacturer akin to the Rolls Royce of the PC case world it has to be Lian Li. The quality of its cases is always superb, even if their design might not be the most practical or efficient way of doing things. 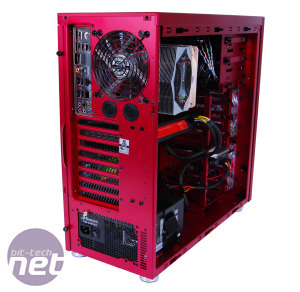 The PC-8FIR is the first tower case to emerge from Lian Li's factory that we've reviewed since the Tyr PC-X1000 but after a quiet period, the company appears to be back in action. 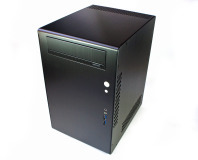 The build quality of the PC-8FIR is a little tinny, largely due to its all-aluminium construction. Few of us managed to overcome the pinkish-red finish, so it's fortunate that the PC-8FIR is also available in black and silver. 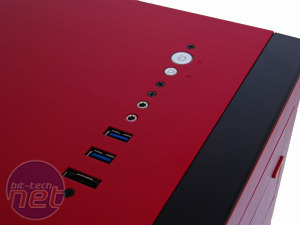 On the top of the case are headphone and microphone jacks, an eSATA port and two USB 3 ports. The latter are a great inclusion, as USB 3 devices are beginning to trickle onto the market, and in a year or two, these ports will be very useful. The biggest hurdle - in fact, it's more of a three-storey building - is the price tag. 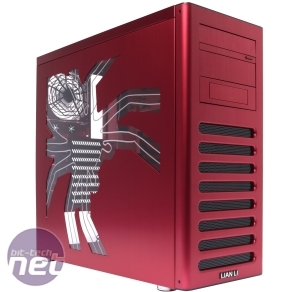 Priced at £250, the PC-8FIR is one of the most expensive cases we've ever reviewed, but apart from a questionable colour scheme and a side window in the shape of an eight-legged creepy crawly, it offers little over and above other cases we've looked at recently. 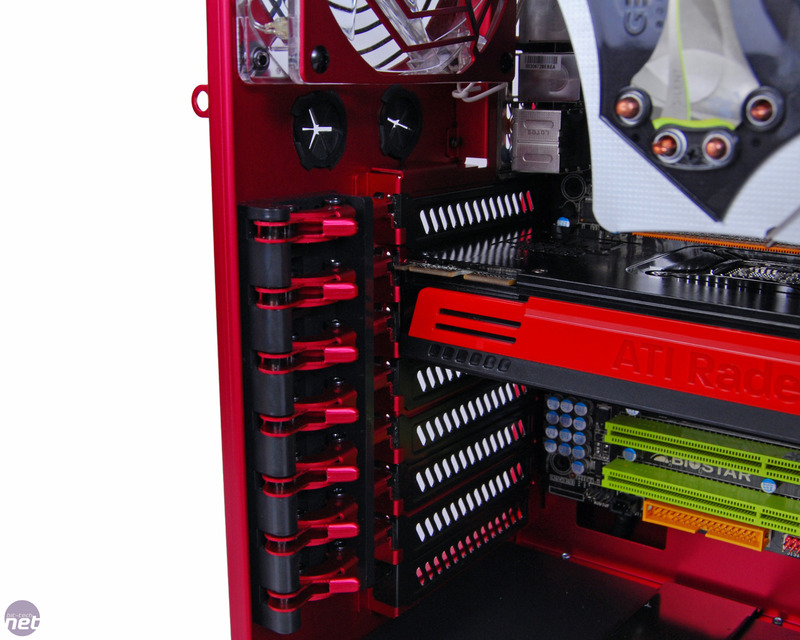 It has the same tool-free expansion slot mechanism, which has been colour-coded to match the case. It works brilliantly, to the extent that we find the thought of having to use screws again very unappealing. 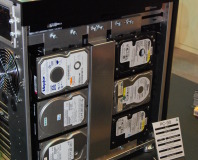 The PC-8FIR also has the same three tool-free 5.25in bays, with clips securing the optical drive in place and rubber pins to hold your hard disk in the six 3.5in drive bays. The 3.5in drive cage made matters difficult when we tried to install our HD 5870, as it's very close to the end of the graphics card. 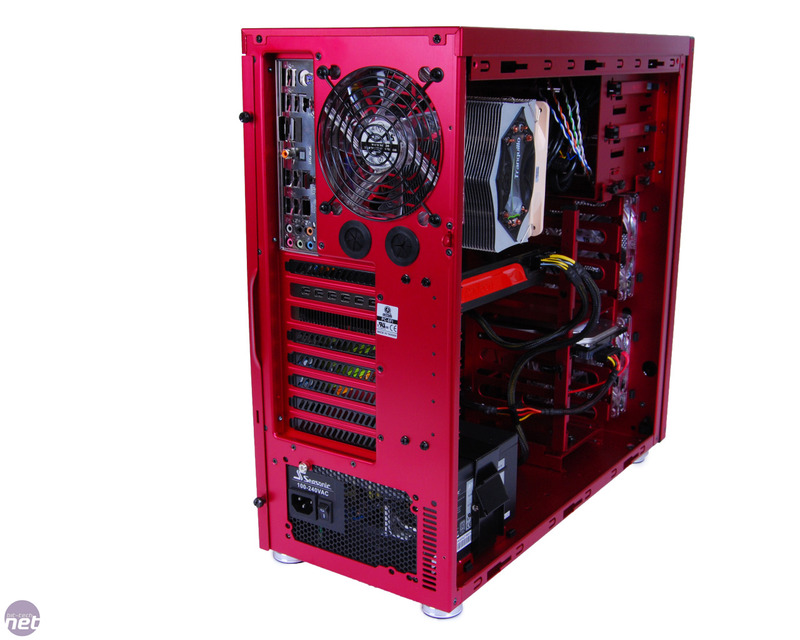 However, as with many Lian Li cases, the 3.5in drive cage is removable, which allows for larger graphics cards to be installed. 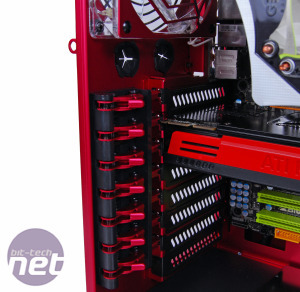 Unfortunately, the fan spacing doesn't allow for the fitting a dual 120mm-fan radiator, although it might be possible with a little skulduggery. There's another 120mm fan at the rear of the PC-8FIR and a 140mm fan mount in the roof. 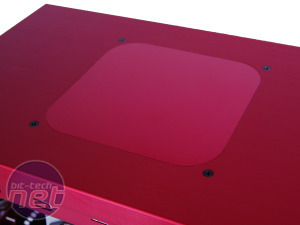 It's daylight robbery that Lian Li didn't include a 140mm fan, considering the price of the PC-8FIR, but at least the hole for the fan is fitted with a removable plate that lines up perfectly with the rest of the roof panel. However, it's a bittersweet addition - we'd much prefer a fan. 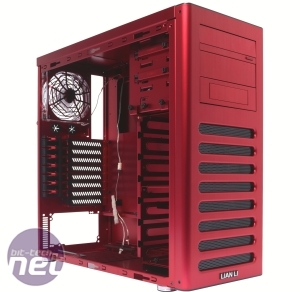 Cooling ability is further put in doubt by the PSU bay at the bottom of the case. 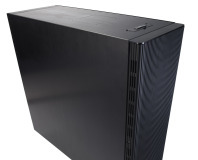 While the PSU mounts are coated with rubber to reduce vibrations, the vents beneath the PSU are angled at 90 degrees away from the bottom of the case, so your PSU will struggle to obtain any cool air. 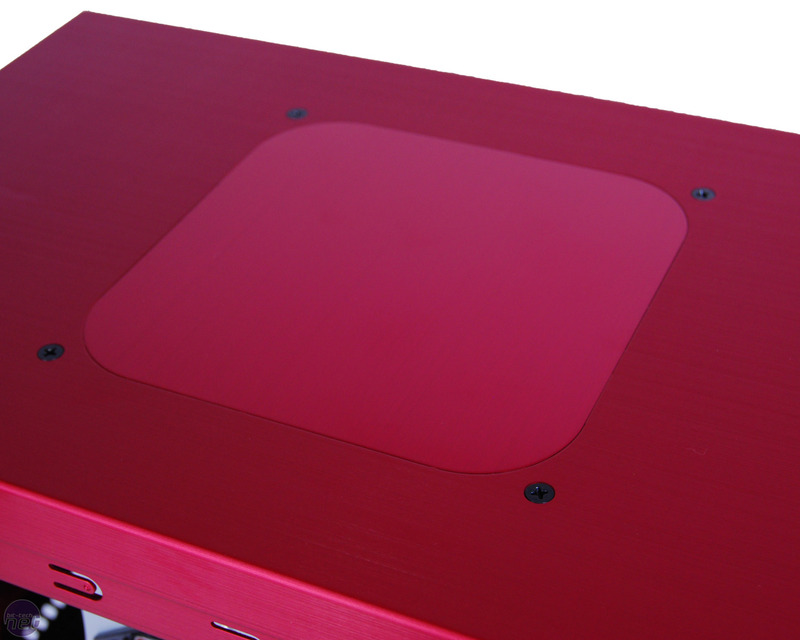 The PSU mounting holes at the rear of the case allow for the PSU to be mounted with the fan facing upwards, but this is still poor design. 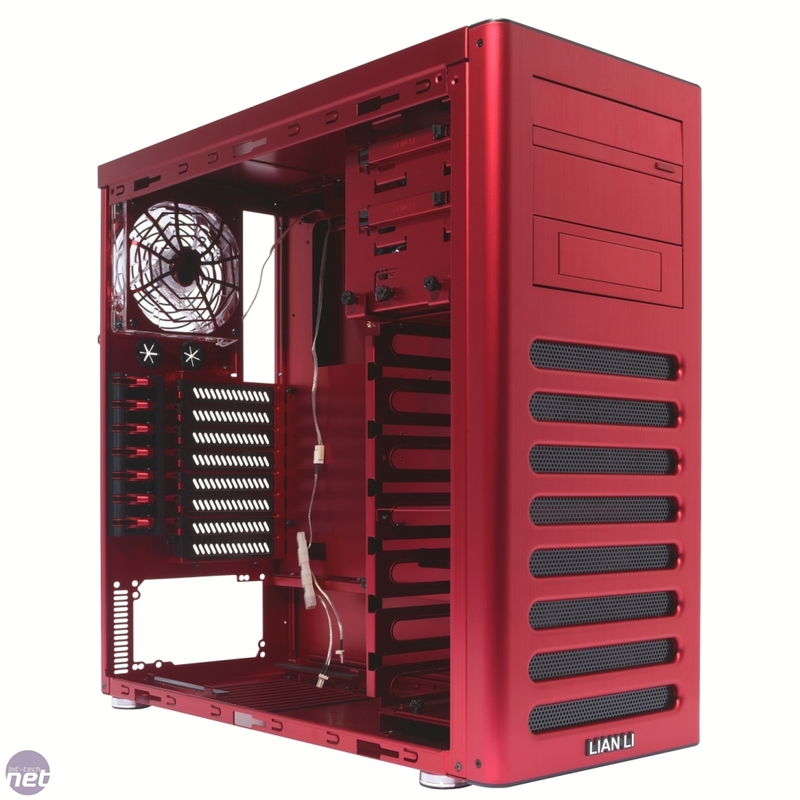 Lian Li's PC-V2120 luxury case costs more than some full PCs; can it possibly be worth the price?